Great report again! Sad thats its the last of the year but will be looking forward to more. Thanks again! I really enjoyed this report (and all your others). Thanks for sharing. Also a weekend trip to Miami to see the new ballpark, not sure when but I hope to get Travelin Man and Miami Don on board for this. WJ asked if I could post about where I went on Labor Day after he had already left town. After a couple days of contant running, I was quite tired. The Summer Georgia heat really took a toll on this Yankee. I have no idea how people can survive in this humidity all Summer long. 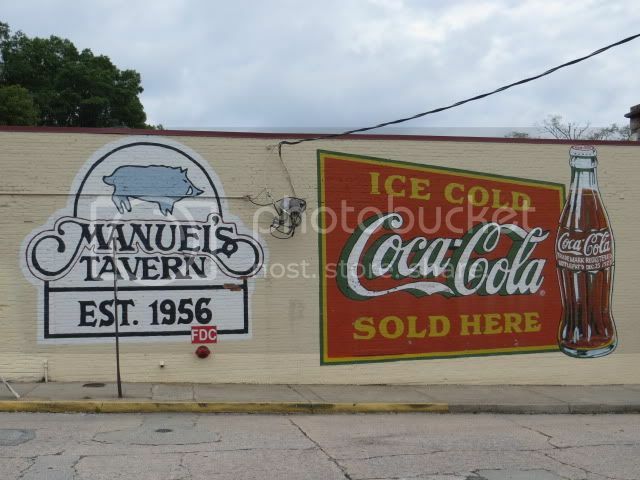 Anyway, I didn't leave the hotel until just before 11:00AM and made my way to Manuel's Tavern. Some nice murals on the outside walls. When they opened their doors, I was the first customer inside.. Truthfully, this wouldn't have been my first choice of where to go, but with this being a hoilday, lots of places were understandably closed. It was kind of strange how the dining area was well lit in the front and very dark in the back. Wanting to get good food photos, I was happy to claim a seat right next to a window. The waitress was very cool, casual and did a tremendous job of taking care of me. The meal started off with a healthy portion size of Big Stan's Brunswick Stew. This had both pork and chicken meat, plus sweet bbq sauce, but was light on the vegetables. It was quite good and I told the waitress as much. She replied,"I will tell Big Stan when he gets in. He is very proud of his brunswick stew! This place is best known for their burgers, so I went with the basic Manuel's Burger, which is a 1/3lb. patty on a Kaiser roll. 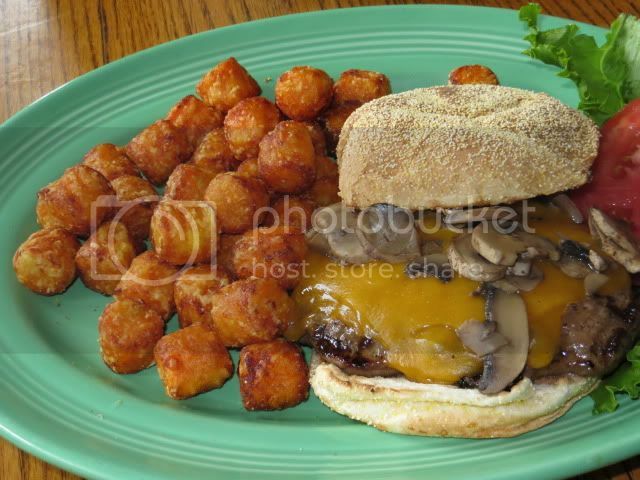 For a slight extra charge, sauteed mushrooms and cheddar cheese were added. The burger was juicy and just the right size. On the side, sweet potato tots! I am a big fan of both tater tots and sweet potatos fries, so this was a natural choice. The waitress brought a side of honey mustard sauce, which was perfect for dipping the tots. 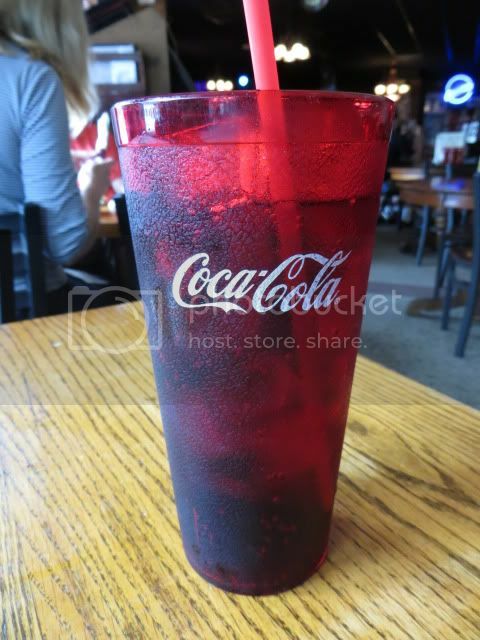 To drink, I am not much of a soda drinker, but you can't come to Atlanta without getting at least one Coca-Cola. in Newnan, GA. There are two locations and I visited the original one just outside town. The business goes back to 1926 and they have appeared in older Roadfood books. 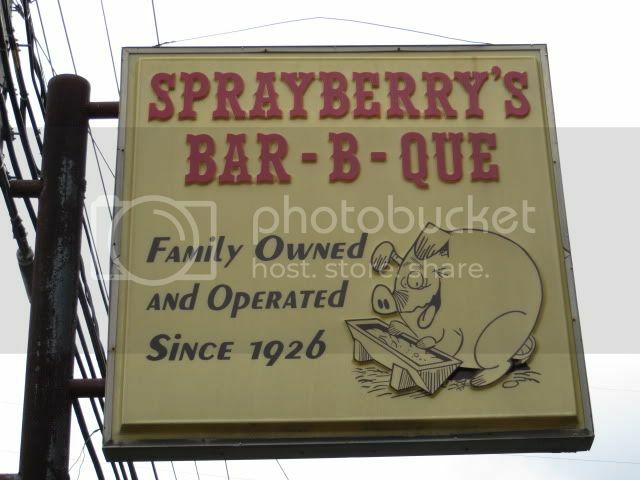 The people at Sprayberry's were very friendly, even to an obvious out-of-towner. 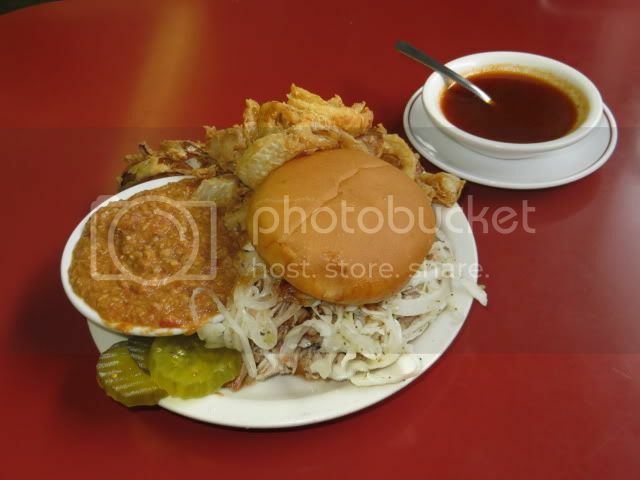 The waitress mentioned how good their onion rings were and directed me to the Lewis Grizzard special, which is a pork bbq sandwich, brunswick stew and onion rings. Hey, if it is good enough for Lewis, then it is good enough for me! This was a big sloppy sandwich that was best eaten (at least to start) with a fork. BTW, they did ask me if I wanted the cole slaw on the sandwich and the answer to that is always a big yes! Luckily, the cole slaw was the overly wet, mayoey kind. Good sandwich! The onion rings were very greasy, but not in a bad way. 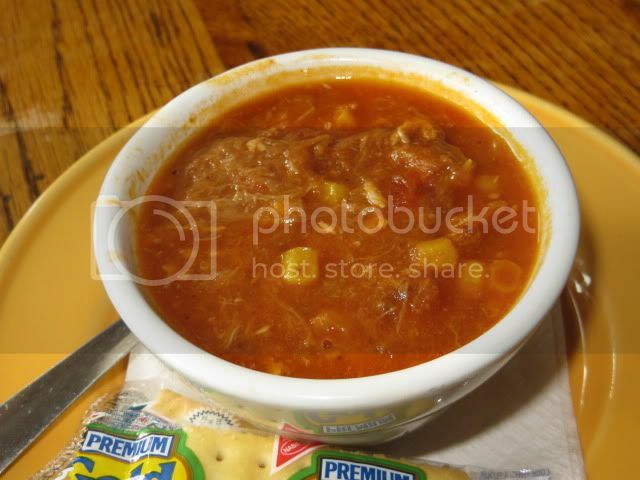 The one item I did not like was the thick brunswick stew. I asked if the pies was made in house and when they confirmed it was, ordered a slice of the lemon ice box. Well, this is the most commercial looking homemade pie I have ever seen and it didn't taste much better. After this, it was straight to the airport. Thanks to WJ for inviting me to join him on his trip! 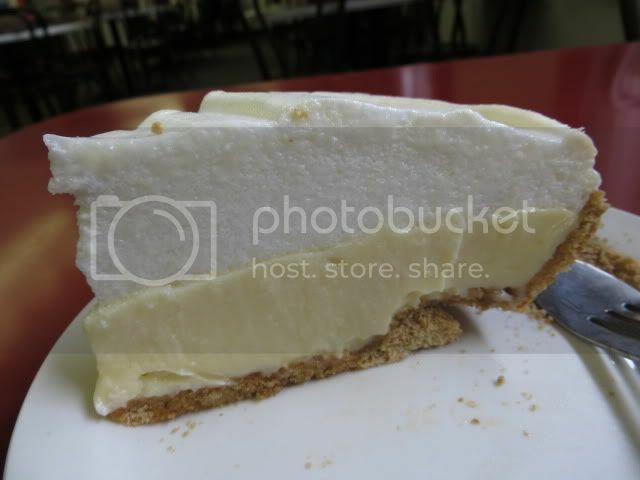 At least you got to have a slice of Lemon Ice Box Pie (I bet it still wasn't as bad as the one I had at The Cupboard in Memphis). I was so looking forward to a slice at the Silver Skillet and I'm still bummed that they were closed for the holiday weekend. Just for that I may end up back in Atlanta prior to where ever we go for Glee Club weekend. That was a bummer about Silver Skillet being closed. Their lemon ice box pie is the gold standard! BB: I started a plasma collecting center in Atlanta, GA on Spring St. in 1979. Since I was spending a lot of time there, I went to Manuel's several evenings a week. I always got their CB, fries and beer and played pinball in the rear of the building with some friends. The burgers were very good then. Thanks for telling us that Paul. 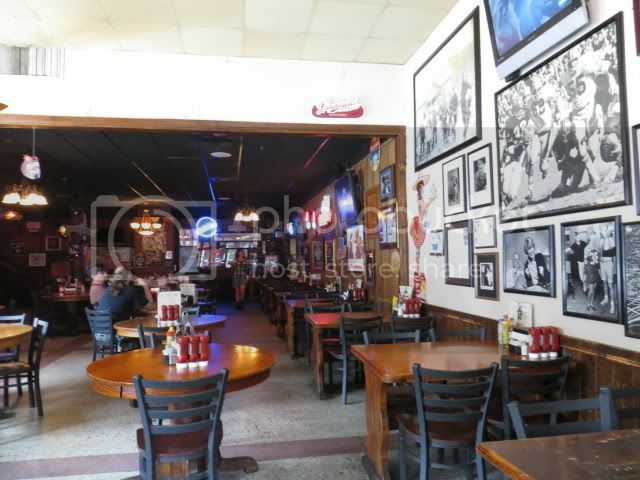 It does have the feel of a comfortable neighborhood tavern and a really good place for friends to meet. You would have liked it! Ann's Snack Bar, the Vortex, or Grindhouse Killer Burgers would all make much more sense to me to be represented here than Village. I would love to read your take on Ann's Snack Bar. I searched your wonderful blog looking for a post on the place but couldn't find it. We haven't been since we started the blog. It's been on the to-do list since... we started the blog. Maybe one day soon! But I'm pleased you enjoy the blog. We were interviewed for the Find Dining podcast and I made sure to give Roadfood.com a shout-out. Thanks for the reply. Ann's has been on my to do list since reading about it in the Hamburger America book. It sounds like it can be an intimidating place, with the long lines and the strict rules. And congrats on the interview! Once again a great report BB and WJ. That new ballpark in miami is a must see and i would really love to eat Cuban food. I hope you get down there dale and get to see the new place. Wonderful report. Great pictures and details! Thanks for sharing this with us. 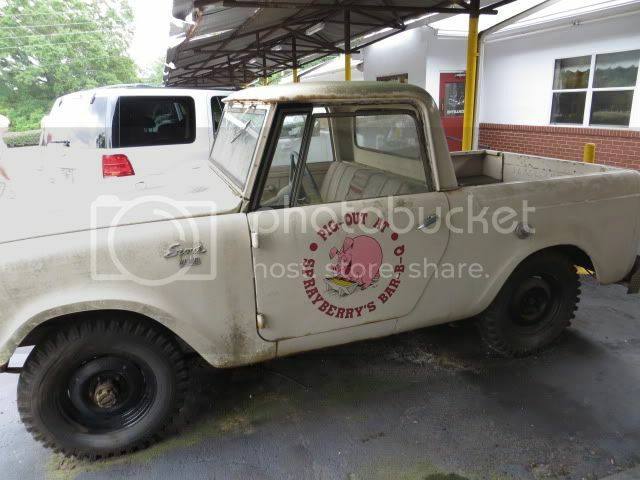 Great photos and report as always Wandering Jew. I've got to get my digital camera going so I can take some photos of places around here for everyone.Do my own local report. By the way, I'm not very fond of banana pudding.I guess it's the way some people make it.Never had Brunswick Stew either. Glad you had some really good meals.That's the way it goes.You get great meals some places,and louzy ones as well. 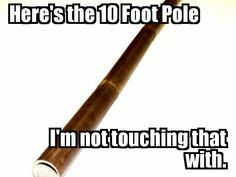 Another classic! Great job Dale! #wheresrogo!